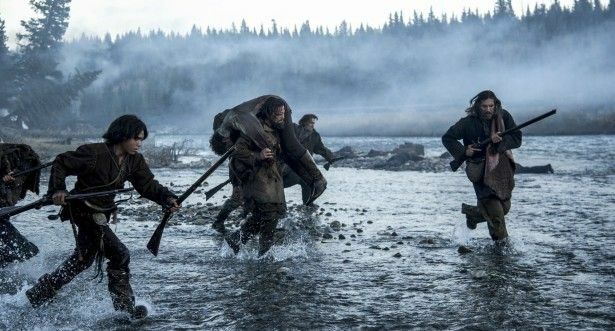 Oh, how I wish I could have gone into The Revenant completely cold, knowing nothing other than it was Inarritu and DiCaprio. 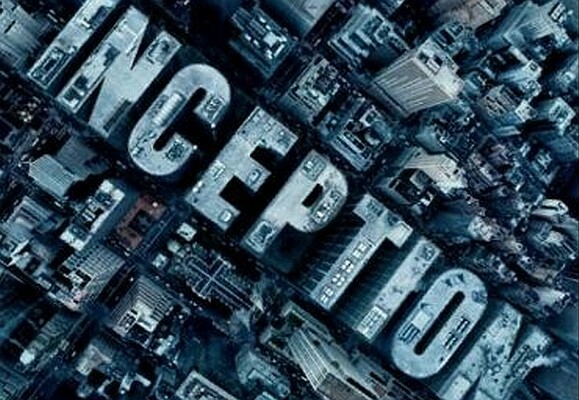 Curiously the film suffers from following an amazing, shrewdly edited trailer that promised uncompromised tension as DiCaprio fights for survival across dreadfully gorgeous cinemascope-worthy mountainous winter landscapes photographed in otherworldly fashion by the king of pretty “sunlight through trees” cinematography Emmanuel Lubezki. What if I hadn’t known that epic bear attack was coming? What if I hadn’t known Tom Hardy was going to murder (wait, does everyone know this yet?). What if…what if…what a shock the film would’ve been had I not already known its moves. This was loosely (very loosely) based on a harrowing true tale that became a book. DiCaprio gets viciously mauled by a bear (in fact, gets his throat almost ripped out and spends the rest of the film in sparse, pained speech when not completely silent or gurgling blood) and left for dead. Mother Nature is both heartless and beautiful. 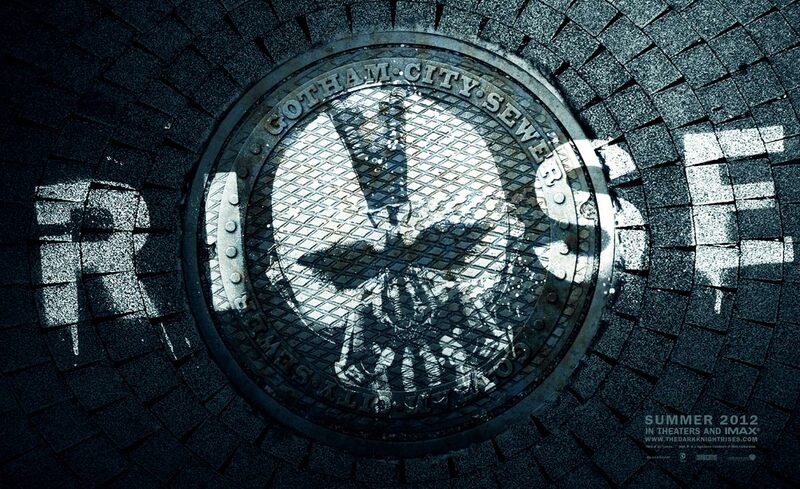 Tom Hardy (sporting his own unique growling speech and interesting accent) is gonna get his. Big budget studio movies like Mad Max: Fury Road don’t come along very often. I can only think of two others that rose to the same echelon and were made in my lifetime: Raiders of the Lost Ark and Inception. Like those films, Mad Max: Fury Road begins in the midst of action, slows down to let the viewer get acclimated to the world that has been created, and then once it reaches a certain point propels its audience full throttle ahead through amazing set piece after amazing set piece and explodes in a dynamite denouement. All three of these films are masterpieces of pacing and editing. All of the hyperbole swirling around Mad Max: Fury Road is not hyperbole. Those who have heralded it as the best action movie ever made are saying that because it is. The reviewer who said it will melt your face off was almost right…for the record, it will rip your face off, not melt it. Even if you’ve seen the original Mad Max films, you’ve still never seen anything like this. And if you haven’t seen the previous films, it doesn’t matter one lick. 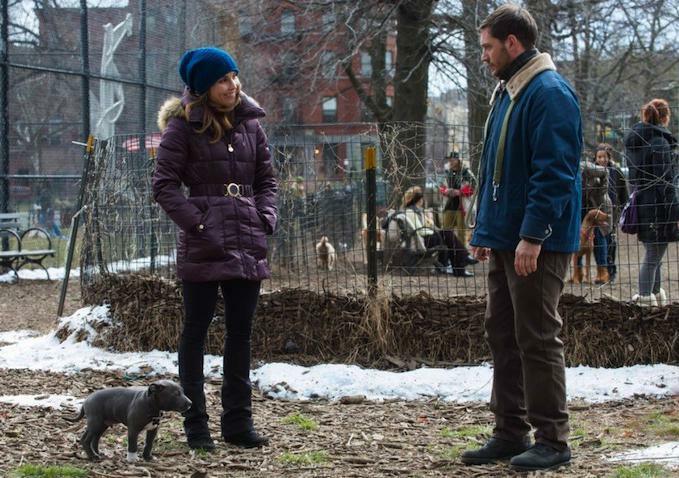 Michael R. Roskam’s Brooklyn set crime thriller, The Drop, is a deceptively pleasant nasty piece of work. Is this the conference room at the heart of British Intelligence or a middle rung in Dante's hell? During the height of the Cold War, a botched extraction in Budapest forces the head of British Intelligence (John Hurt as Code Name: Control) to resign, and “The Circus” goes through a house cleaning. 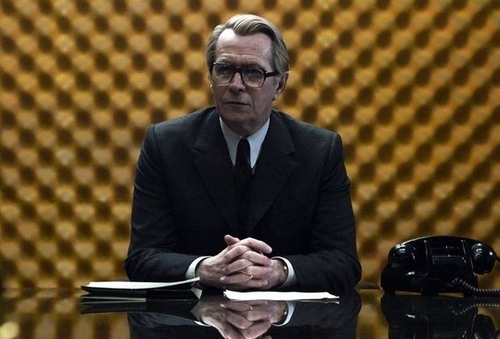 Not content with a forced retirement, veteran spymaster George Smiley (Gary Oldman, in a devilishly subtle performance) becomes determined to weed out the alleged mole at the top of The Circus. It slowly becomes clear that Smiley is involved in a master chess game against a Soviet counterpart named Karla (who remains mysteriously just off-screen) – a man he failed to turn years earlier and who knows Smiley’s one weakness. The biggest mystery isn’t the identity of the mole but which of these master craftsmen in the world of espionage is going to pull a check mate on the other.